This is simply a checkbox motion to suppress which attorneys were using in District Court DUI cases in North Carolina. A defendant doesn’t have a right to discovery in District Court cases. However, the legislature passed a law mandating that all motions to suppress be filed pretrial. As a result, it was not uncommon to end up trying a case that had substantial problems that would have been the basis for a motion to suppress. However, all of your grounds for a motion to suppress were waived due to your failure to file a pretrial motion. I don’t know who came up with the idea, but this form started circulating wherein you simply checked every box that might apply to the case. When you filed the motion, you would get a hearing on your motion and you could use that as a means to flush out the facts. North Carolina has a right of appeal for a jury trial de novo if an individual is convicted in District Court. This type of motion would not be acceptable in Florida under normal circumstances. I can think of certain scenarios when there might be an exception. However, Florida Rule of Criminal Procedure 3.190(g)(2) requires that a motion to suppress contain a legally sufficient factual basis for filing the motion to suppress. If the motion is not legally sufficient on its face, the judge should deny the motion without a hearing pursuant to Florida Rule of Criminal Procedure 3.190(g)(3). Accordingly, the use of this motion or a “check box” type of motion is going to depend on the rules of procedure in the jurisdiction where you practice. However, you would need to tailor the motion to the specific case law in your own jurisdiction. For example, items 3, 4 & 5 in the motion reference case law from North Carolina. If I were filing the motion in Florida, I could change “Knoll” in item 3 to “Halliburton” and move to suppress based on a due process argument. I wouldn’t expect much in the way of good results from this type of motion. If you can write a more specific motion, it would probably be in your best interest to do so. However, filing a “& the kitchen sink” motion might be good for the record if the State is playing games with you regarding discovery and attempting to get you to waive your speedy trial in order to get discovery. This motion is in Word format so it can be downloaded and modified to suit your individual needs. Issues: Did the police officer have probable cause to stop defendant’s vehicle for a violation of Florida Statute 316.089(1), failure to maintain a single lane, when crossing the lane line did not interfere with any other traffic? Notes regarding this particular motion: This motion to suppress was successfully used in a case which did not involve DUI. 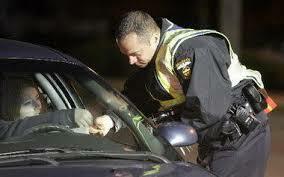 However, purported lane weaving violations are frequently used as the basis for a DUI stop. Although laws in your individual jurisdiction may be different, multiple jurisdictions have case law holding that crossing a lane line is not a strict liability offense. I have successfully made the arguments contained in this motion in Florida and North Carolina. 6) State v. Kindle, 782 So.2d 971 (Fla. 5th DCA 2001). Issues: Did the officer’s failure to follow the rules for breath testing set forth in the Florida Administrative Code require the suppression or exclusion of the result? Notes: This was filed as a motion to suppress when it should have probably been filed as a motion in limine or motion to exclude. This was filed in 2007. I would caption the motion “Motion to Suppress or Motion to Exclude” if I had to write the motion again. 1) Did the officer have a reasonable suspicion that defendant was impaired sufficient to extend the length of a traffic stop into an investigatory detention? 2) Was defendant properly advised of Florida’s implied consent laws? 11) State v. Taylor, 648 So.2d 701, 703-05(Fla. 1995). 2) Terry v. Ohio, 392 U.S. 1(1968). Issues: Did the act of pulling into a driveway with a checkpoint in view constitute reasonable suspicion that the driver was attempting to avoid a checkpoint? 2) Whren v. United States, 517, U.S. 806, 809-10(1996). Result: Motion to Suppress Denied. The issues raised at the evidentiary hearing were a matter of first impression in North Carolina. The Court took the matter under advisement and researched the matter further. The court located two cases that were on point. If memory serves correct, one was from Hawaii and one was from a state in the South. The Hawaii court ruled for the State and the other court ruled for the defense. The Judge found the reasoning from the Hawaii case to be more persuasive and denied the motion. Client did not appeal. Two appellate courts have ruled in two different ways. This motion is worth another shot. Issues: Was the Sheriff’s Deputy permitted to physically open the door to defendant’s vehicle when he located defendant sleeping inside his vehicle in a townhouse parking lot? Result: Trial court denied Motion to Suppress ruling that the officer was acting within his role as a community caretaker and checking on the welfare of a citizen. It should be noted that the Deputy testified that the incident took place in a “high crime” area. In reality, the neighborhood where this incident took place was my neighborhood which was located in a country club community on a golf course. Life is rough in the hood. You never know when public people will creep onto your private golf course. Issues: Was the BOLO issued as the result of an anonymous tip? Was the information provided by the “tip” sufficiently reliable to constitute reasonable suspicion? Did the allegations made in the anonymous tip amount to an accusation of criminal conduct? Result: Trial court’s ruling denying Motion to Suppress is reversed, Defendant’s Motion to Suppress is granted, case remanded for trial. State dismissed case after appellate decision.